Whether you eat it once a year to honour Rabbie Burns or include it as a staple of your diet, take a look at these alternative haggis recipes that give the haggis a whole new lease of life this Burns Night. We know what you’re thinking. What’s so unusual about a salad? But honestly when was the last time you put haggis in your salad? Why not combine your haggis with your favourite salad leaves, some apple, a red onion, 50g of Stilton, half an avocado and your favourite salad dressing. A fusion between Scotland and China creates this twist on the Chinese takeaway classic. simply replace the traditional shredded duck with haggis and start rolling with spring onions, carrots and sesame seeds. These work perfectly with a sweet chilli or whisky sauce dip. 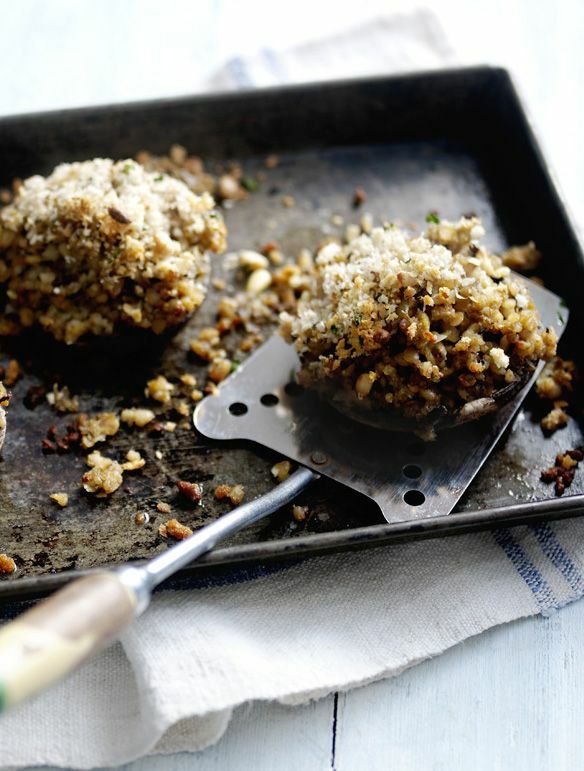 These cute vegetarian haggis stuffed mushrooms can serve as a starter or main course. Preheat you oven to 200C/Fan 180C or gas mark 6 and place some Portobello mushrooms on a baking tray, drizzle with a little oil and cook in the oven for 5-6 minutes or until they begin to soften. Then mix together the haggis, pine nuts, Pecorino cheese and parsley and spoon into each mushroom and return to the oven for a further 15 minutes. This comfort food classic has just been taken up a notch. Generous helpings of all the standard nacho ingredients: tortilla chips, cheddar cheese, guacamole, salsa, sour cream, Jalapeno peppers and fresh chillies are complemented by the meaty spiciness of traditional haggis. With only 20 minutes prep and 20 minutes cooking, these empanadas are not as hard as they looks and are definitely worth the effort. Preheat you oven to 200C/Fan 180C or gas mark 6, and roll out 600g shortcrust or filo pastry, cutting into 10cm discs. For the filling, heat 20g rapeseed oil in a pan and wilt 100g baby spinach. Mix together with haggis and 90g feta cheese. Season to taste and divide between the pastry discs. Brush the edges with cold water and fold to create a semicircle parcel sealing the edges with a fork. Brush with 1 egg yolk and bake for 15-20 minutes or until golden brown.